Rimfire Pistol is a family friendly and safe way to improve your handgun shooting skills. Parents bring your young shooters along (12 years and older, younger kids welcome to come and watch). All shooting is conducted under the direction of a Range Safety Officer and all safety rules are enforced for a safe and fun shooting experience. Match fee: $10.00, NCRR members receive a $5 discount. Rimfire Pistol consists of 4 stages of fire. Each stage has 5 reactive targets at 15 yards. 4 regular targets and 1 stop plate target. Shooters will shoot the 4 regular targets first and then the stop plate to stop the clock. Each stage consists of 5 strings of fire, the best 4 of the 5 strings are used to calculate your score. Shooters have 15 seconds to shoot the 5 targets. Any targets shot after the 15 seconds or not hit incurs a penalty for each target. Each penalty adds 5 seconds to the shooters score. Scoring is a combination of your time plus any penalties for missed targets. Equipment needed: 22 rimfire pistol with at least 5 magazines or a 22 rimfire revolver (10 shot revolvers suggested). Ammunition – Bring along at least 150 rounds. 100+ for the match and some extras for “do overs” or malfunctions. Eye and ear protection is required at all times when firing is going on. Rimfire Rifle is a family friendly and safe way to improve your rifle shooting skills. Parents bring your young shooters along (12 years and older, younger kids welcome to come and watch). All shooting is conducted under the direction of a Range Safety Officer and all safety rules are enforced for a safe and fun shooting experience. Rimfire Rifle consists of 4 stages of fire. Each stage has 5 reactive targets at 25 yards. 4 regular targets and 1 stop plate target. Shooters will shoot the 4 regular targets first and the stop plate to stop the clock. Shooters have 15 seconds to shoot the 5 targets. Each target shot after the 15 seconds or not hit incurs a penalty. A penalty adds 5 seconds to the shooters score. 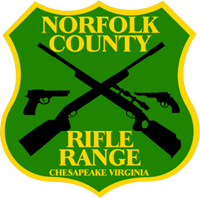 Equipment needed: 22 rimfire rifle and magazines that can hold at least 10 shots.